CraftWorks Holdings has named Jason Brumm to the role of vice president for culinary for its Brewery and Specialty Restaurant division, the company said Wednesday. Brumm is responsible for menu development at the Rock Bottom Brewery, Gordon Biersch Brewery Restaurant and Chophouse & Brewery chains, as well as standalone concepts A1A Aleworks in St. Augustine, Fla.; Big River Grille and Bluewater Grille in Chattanooga, Tenn.; Ragtime Tavern Seafood & Grill in Atlantic Beach, Fla.; Seven Bridges Grille & Brewery in Jacksonville, Fla.; and Sing Sing in Pittsburgh. Most recently, Brumm (left) was culinary director for A. Ray Hospitality, a Nashville-based company that operates M. L. Rose Craft Beer & Burgers, The Sutler Saloon, Melrose Billiard Parlor, Von Elrod’s Beer Hall & Kitchen and Rambler Cocktail Bar, all in that city. Ouf joined Broomfield, Colo.-based CraftWorks last fall, when the company expanded its footprint with the purchase of 204-unit casual-dining operator Logan’s Roadhouse Inc. He had been Logan’s CEO. Brumm said in a statement he was “thrilled to be joining the Craftworks Holdings leadership team at such an exciting time in the company’s evolution. “We have a unique opportunity to share our passion for hospitality with our guests and team members through innovative and creative menus and insights,” he added. Brumm is a graduate of The Culinary Institute of America in Hyde Park, N.Y. 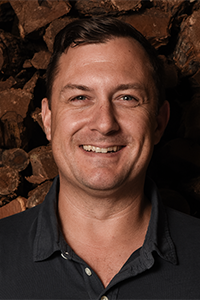 He is just the latest executive to be appointed by CraftWorks, which named Josh Kern to the newly created position of chief experience officer in December.